The smell of wood burning woke us up this morning. It had rained a little overnight and it was surprising that there would be a fire nearby. The sky was overcast and hazy in the distance. We were assured that the smoke had come in from fires in the north of the state. 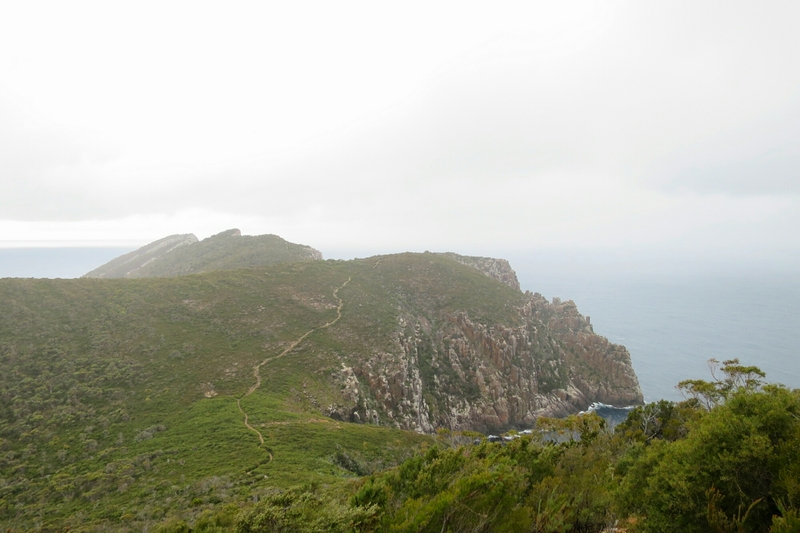 We had decided to walk to Cape Hauy, which was only 4.5km one way from the camp ground. So we did not bother changing into hiking clothes just headed out in jeans and cotton T-shirt, straight after breakfast. Boy did I regret this. 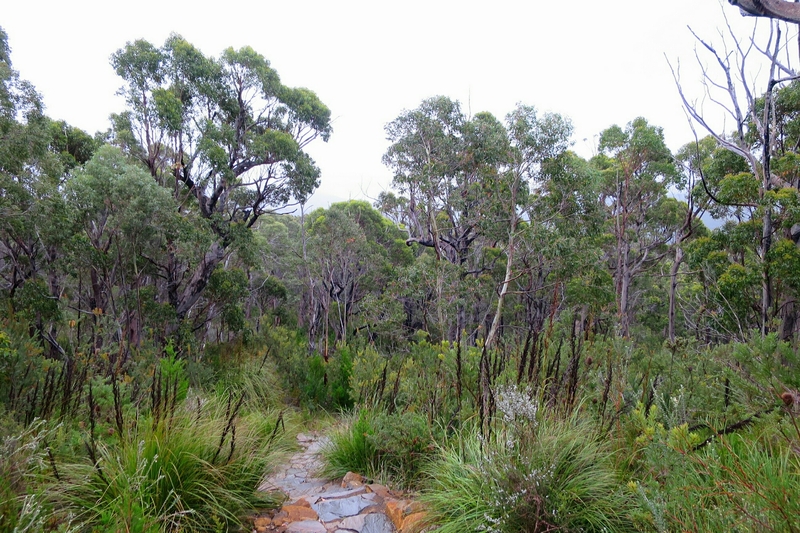 A short way into the walk, a steady misty rain had started to fall. 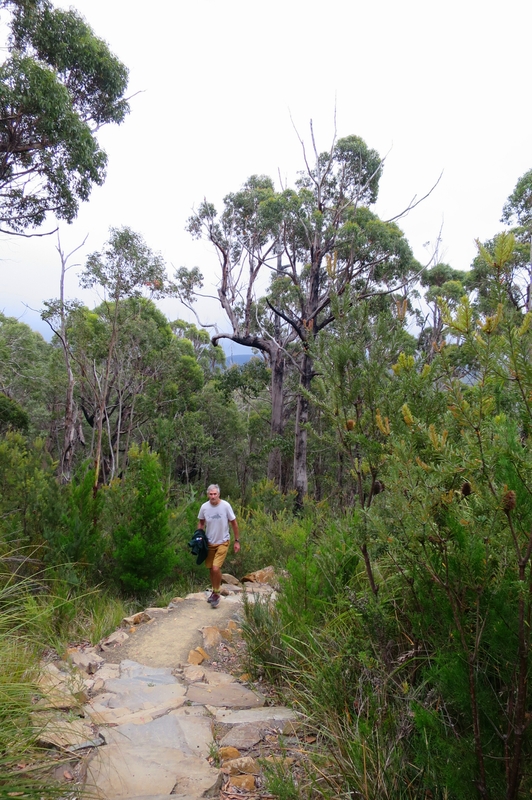 We walked on, enjoying the early morning quite of the forest. The vegetation was pretty much similar to what we saw on yesterday’s hike, just appeared a little drier and we had water views to our left. 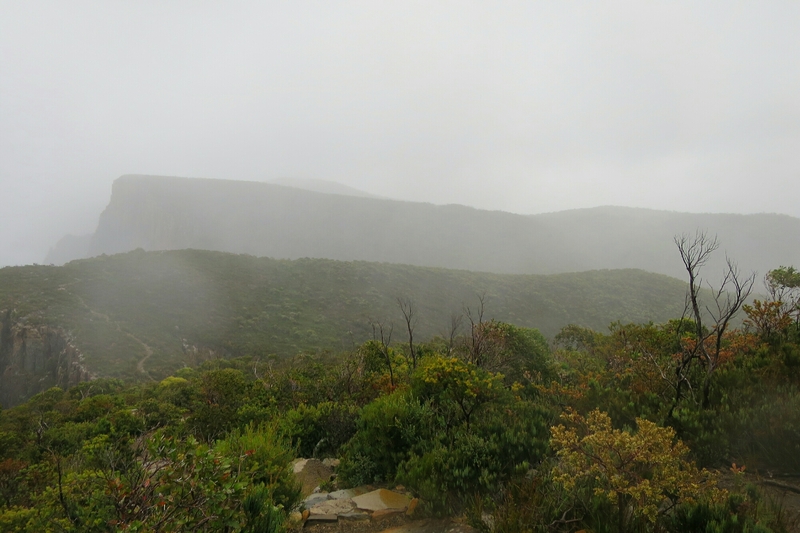 By the time we joined the Three Capes Hike junction coming in from the south, the misty rain turned into gusts of rain being swept across the exposed low lying saddle. The wind and the rain felt like they were sweeping right off Antarctica. At this point I was feeling mighty silly. I was thinking of all the more appropriate gear I could have worn and had back in the car. 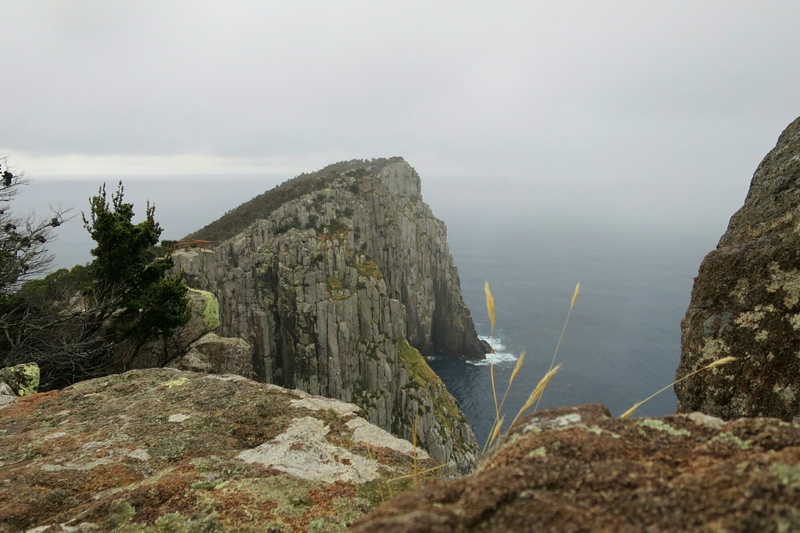 I left Hammer behind and ran out to the Cape just to get warm and get out of the sweeping wind and rain. 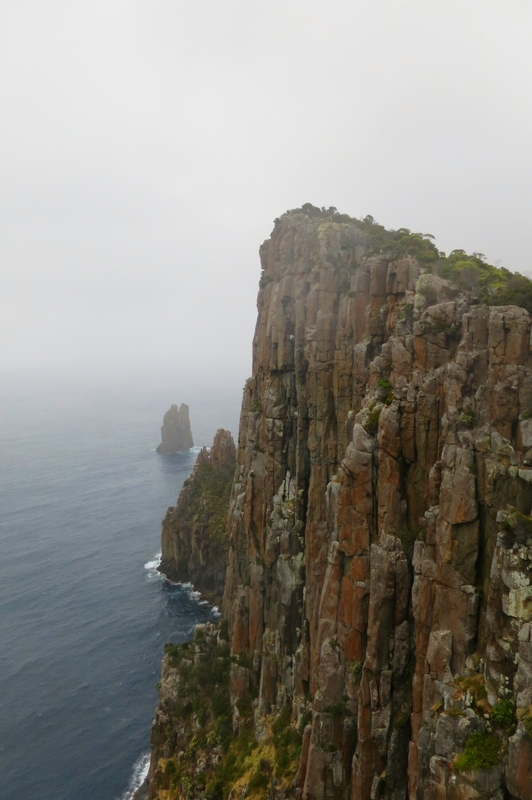 Reaching the Cape offered some protection from the wind and great views back towards Cape Pillar…although it was all a bit misted. It was a quick sprint back to the camp. The rain had passed by the time we returned. 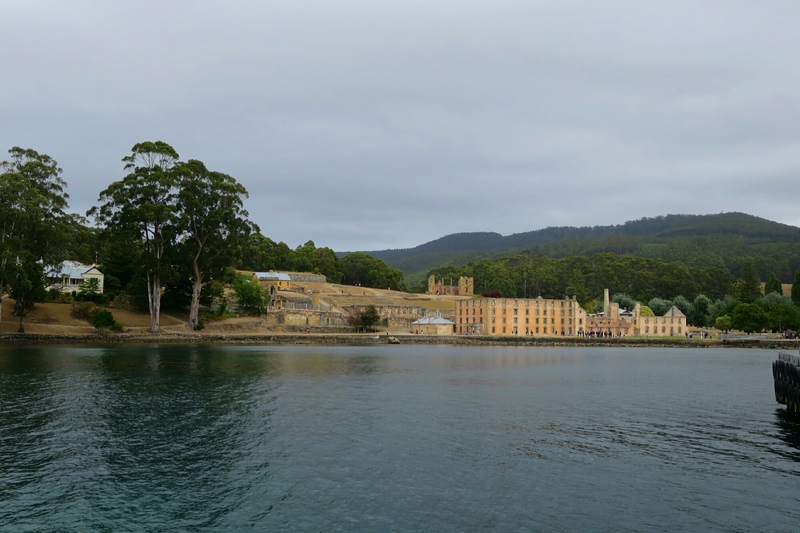 We still had the best part of the morning left, so we drove out to visit Port Arthur about 15km from the camp ground. So much has changed since I was here 30 years ago. The whole site is so much more controlled and obviously receives far greater visitor numbers. I recall staying just up the road from the Penitentiary and walking around the ruins at night. It had a very mystical quality back then. 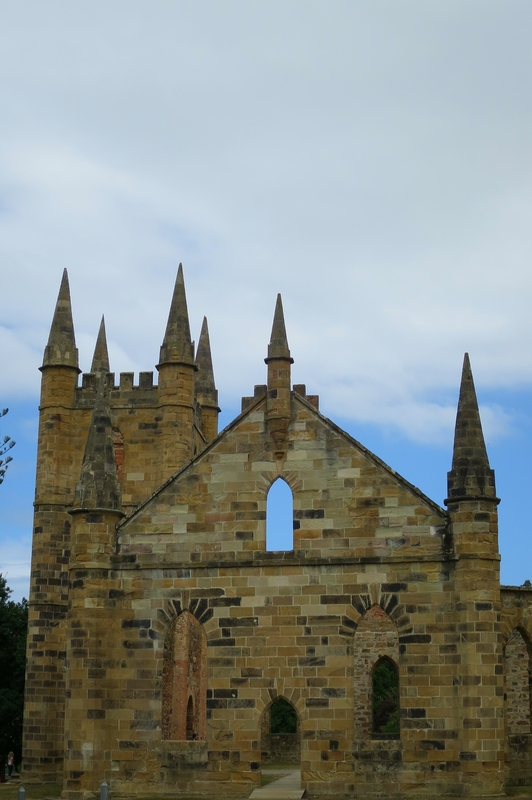 Hammer was visiting Port Arthur for the first time and found the history interesting, but it did not feel like it had the power to invoke a connection with it’s past. I felt that in commercialising the site, something had been lost. 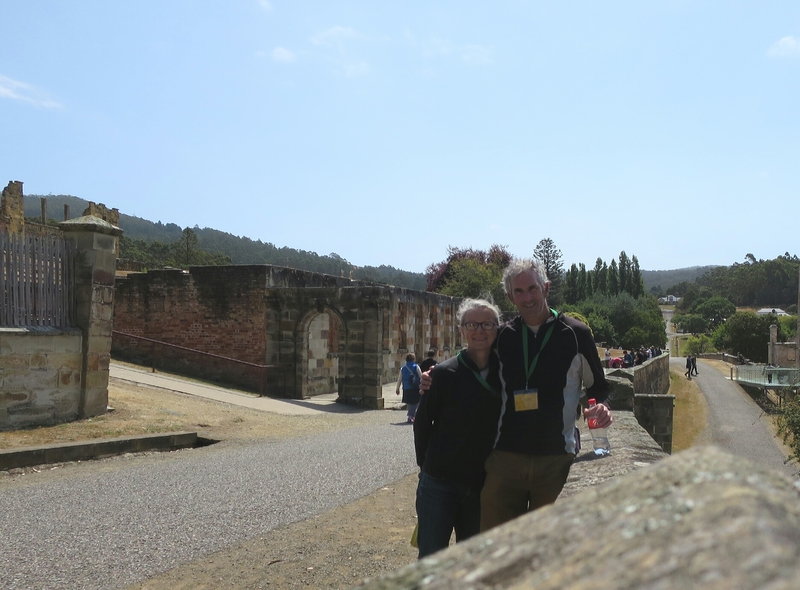 We spend the best part of the day walking around the ruins. 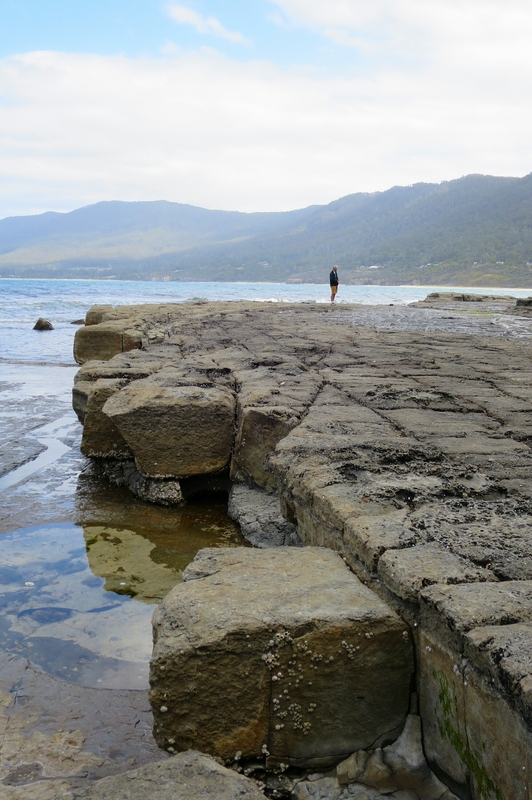 It is good to see that that the $37 per person entry fee is well spent on conservation works at the site and documenting more of its history. 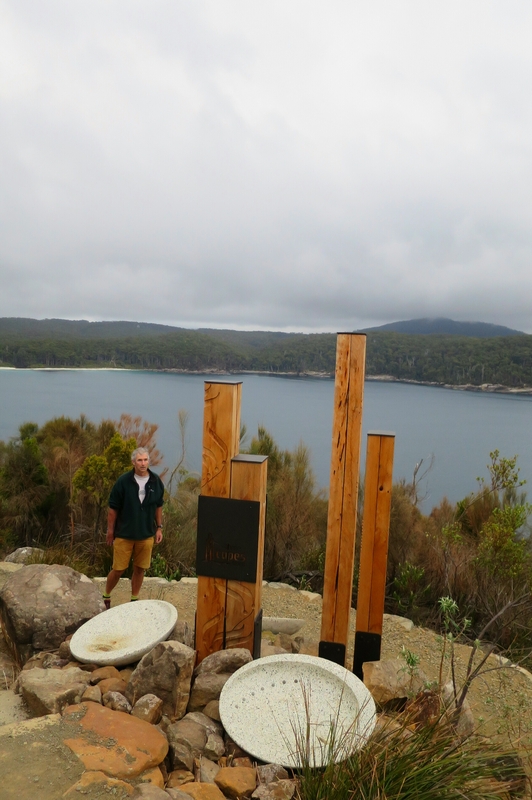 We left the site late in the afternoon to head out towards the Huon valley after a few more stops on the way out of the peninsula. We made it as far as Snug, where we pitched a tent by the beach. Freezing cold wind was sweeping off the ocean. We slept comfortably in our room with a view. 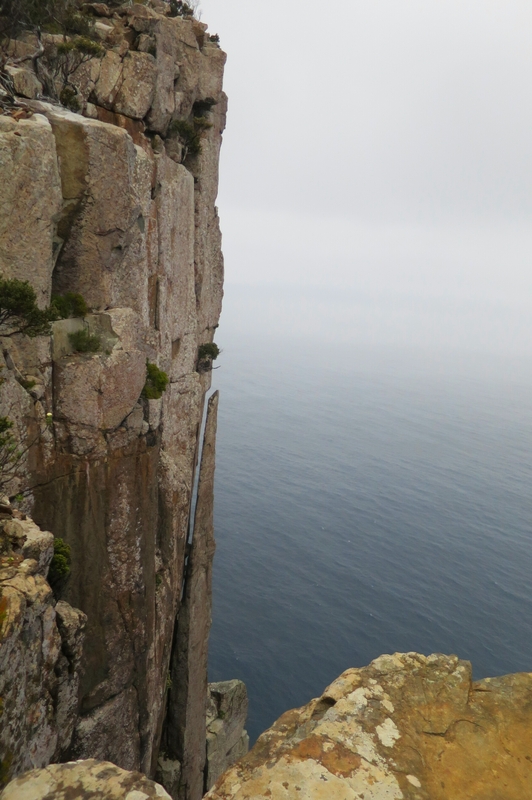 Thank you Gil, Tasmania has been sensational. Hope you have enjoyed your holiday break.